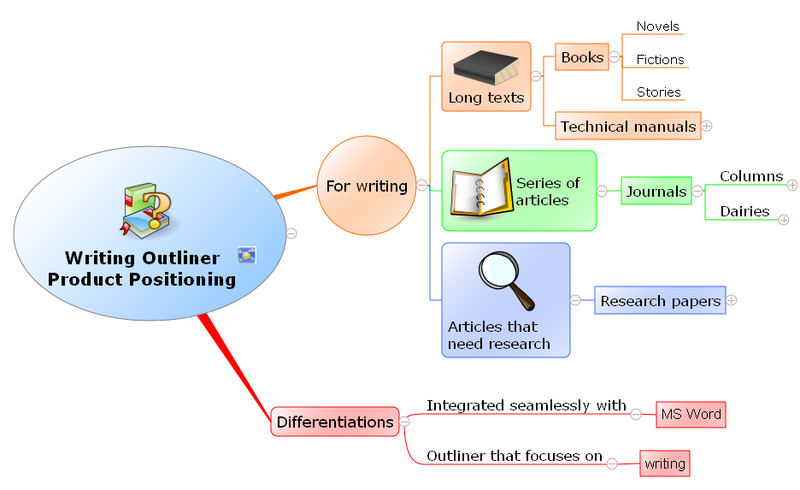 Why Writing Outliner (Book writing software) is developed as a Word addin? What is a Word™ addin? Microsoft knows although Word™ is a very powerful word processor it cannot cover all requirements of all users, for example, writers need functionalities to allow them to manage their long writings or a series of documents, to easily manage and view their research materials, to take notes, to brainstorm, to outline their ideas, and so on. So Microsoft provides a programming interface for 3rd party software vendors to add functionalities to Microsoft Word™ by developing the so called Word addins (some people call them addons). In other words, Word add-ins are software modules developed to work with and enhance Microsoft Word™ to accomplish some particular tasks. Why Writing Outliner is developed as a Word addin? Microsoft Word™ is the leading software product in the Word processing industry, and most publishers accepts only book drafts in Word document format. If Writing Outliner is developed as a standalone writing software like other novel or story writing software, the writers will have to export their drafts and load in Microsoft Word™ to do some further formatting works, what a pain! With Writing Outliner being developed as a Word add-in authors get all their writing software tools in one place, the whole writing process from researching, outlining, note taking, transcribing, editing, to final formating, is streamlined! Writing Outliner is under development curently, you can sign up as a beta tester here.